Malacca, a state in southwestern Malaysia is not just a world heritage site but there are also some top-notch Golf Courses in Malacca. 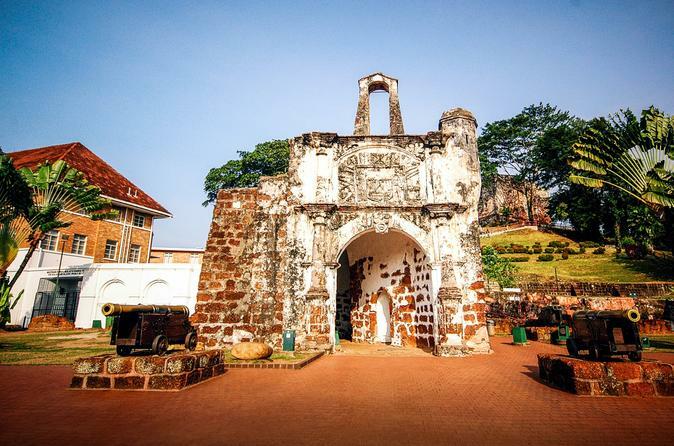 Malacca is every traveler’s dream destination for its rich cultural and historical background. From awesome food to mind blowing architectural and natural beauty, Malacca has it all. For golf lovers, it is the perfect package as you will be amazed by the selection of golf courses available there. We at Deemples want to offer some suggestions for golf fans on which golf courses to choose if you are in Malacca. Happy reading! Located in the North-South Highway between Kuala Lumpur and Malacca, this award-winning Course offers an amazing golfing experience with full resort amenities. It will take you only 1 hour to reach there from Kuala Lumpur. Ross Watson designed this 6,342 meters long golf course. It was established in 1997. Outstanding Golf Tourism Destination in South-East Asia by The Asia Leading Resort Inc, 2017/2018. Top 10 Golf clubs in Malaysia in 2010 by The New Straits Times. Made their place among the 10th best golf course in Malaysia. 2011/2012 by The Golf Malaysia Magazine. 2nd best Resort Golf Course in 2007/2008. 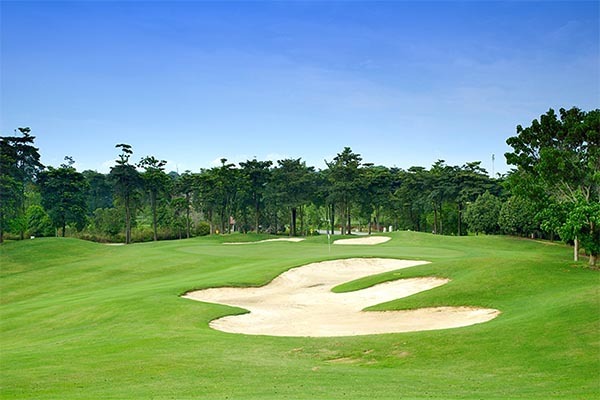 This golf course is undoubtedly an attractive and impressively designed course in Malacca. In A’Famosa you will get to see the excellently designed lined-up holes. There are trees surrounding the fairways which creates clusters and also complements bunkers. If you want to enjoy a great view with some wonderful golfing experience then you should definitely keep A’famosa Golf Course on your list. A’Famosa is a 27-hole par 72/36 parkland style made golf course with three 9-hole loops. The grass range of this golf course has 5 target greens. The club also offers two practice greens for short game practice. You will also get caddies to help you out with your club bags. They also have pro-shops stuffed with all the leading brands golf accessories and merchandises. Changing rooms for both male and female players. For Muslim they have separated prayer rooms as well. Orna Golf & Country Club is situated on an undulating site only 7 minutes away from Ayer Keroh highway and 25 minutes from Malacca city. The first thing that will catch your eyes upon entering is their exceptional clubhouse. This golf course is also known for its challenging layouts. The unique 6,497 meters golf course was designed by Andy Dye in 1997. Orna Golf & Country Club is a 27-hole par 72/36 golf course. This golf club has two courses – East course and West course. They have hosted several professional events around the years. An exceptional clubhouse with recreational facilities like Swimming pool, Tennis courts, Jacuzzi and Karaoke rooms. They also provide personal locker rooms and kiosks. You will get pro-shops where you can buy your golfing equipments with reasonable price. You can enjoy the view with amazing Chinese cuisine. Tiara Melaka Golf & Country Club is located in Ayer Keroh in Malaysia. This course was designed by Nelson, Wright and Hayworth and established in 2001. Once you are in Tiara golf course you will be stunned by the natural jungle vibe of this golf course. 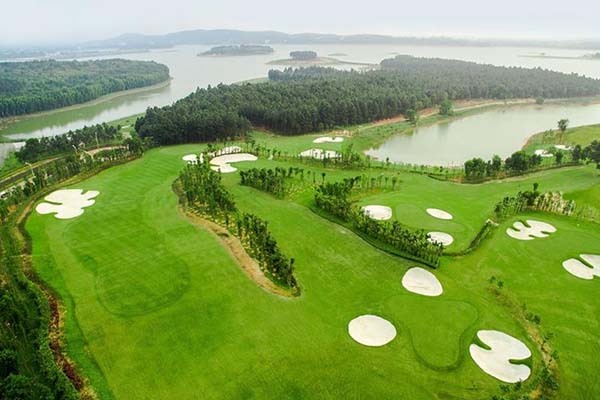 The golf club offers three golf courses, meaning golfers can choose between 9-hole challenges among their Lake course, the Woodland course and the Meadow course. All of these three courses have been designed differently so that the golfers can have different platforms while playing. As per their names, the Lake course comes with several water challenges before you can get to the 9th hole. In the Woodland course you will get wooden restrictions and in the Meadow course you will have to face different challenges which include palm trees and other obstacles. This golf club offers 27-hole with three different courses. They are- The Lake Course, The Woodland Course and The Meadow Course. You will get facilities like swimming pools, Jacuzzi, tennis and squash courts and gym. They have a 52-bay driving range where you can practice for your swings before the game. Very well maintained course with natural rainforest environment. 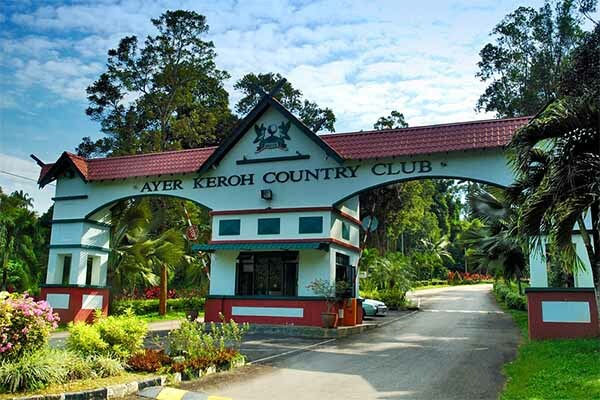 Known as Malaysia’s one of the best-maintained courses, Ayer Keroh Country Club was established in 1964. 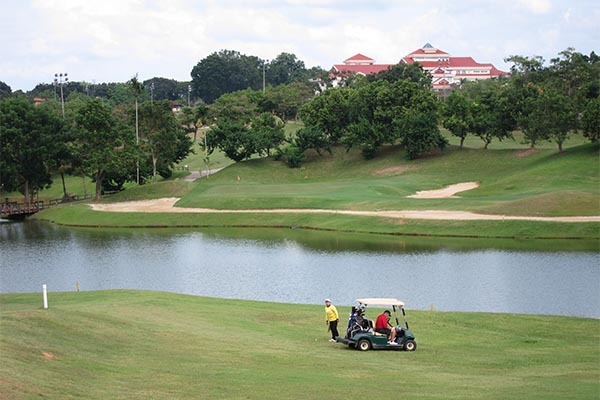 This golf club is the first and the oldest among all the golf courses in Malacca. The golf course was carved out of a virgin jungle and the brain behind the design of this course is Tun Dr. Abdul Ghaffar Bin Baba, the then Chief Minister of Malacca and also a golf expert. To get to Ayer Keroh it will take around 10-minutes drive from the Ayer Keroh North-South Highway. The club is also very close to the Zoo and “Dataran Sejarah”- two famous tourist spots. The course is designed in way so that they can keep a large part of the jungle. So if you go for a game you might have to share the course with various birds, monkeys, snakes and lizards. Ayer Keroh is a 27-hole par 72/36 course, originally consisted of two nines- Tunku’s and Ghaffar’s nines. But later in 1990’s a third nine which is also known as the Governor’s introduced. They have hosted the most prestigious tournament in 1989 known as “Malaysian Open” and several other major golf tournaments. The main attraction of this club is its 18th hole, one of the longest hole in Southeast Asia with a distance of 643 meters. You will get wonderful golfing experience along with a chill vibe because of the jungle in AKCC. Hope you guys enjoyed reading, we think these Golf Courses in Malacca should definitely be on your golf playlist. Perfect for enjoying golf and at the same time get a chance to visit historical places in Malacca, Malaysia. You can also check the article ‘Golf Holidays in Malacca‘ on our website just for your convinience. If you happen to be in Malacca and can’t find friends to play golf with, Deemples is here for you. 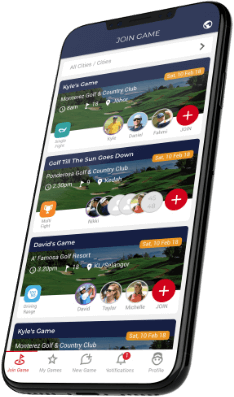 We help you find, connect and match with golfers nearby. Or you can create a game using the app and let others join you! How cool is that? Click here to find out more!